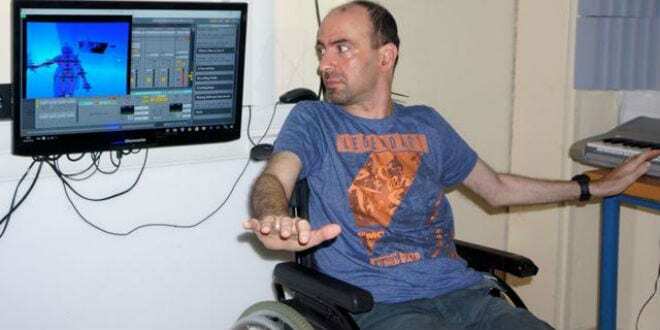 Cutting-Edge Multiple Sclerosis Center in Israel a Light Unto the Nations - Breaking Israel News | Latest News. Biblical Perspective. 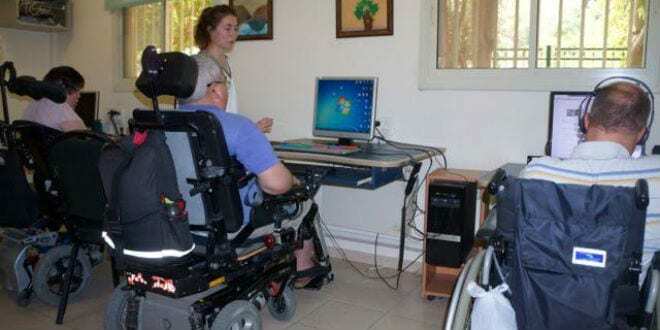 Israel’s Grabski Center, located in the northern city of Migdal HaEmek, treats people with multiple sclerosis (MS) using cutting-edge innovations. This progressive center not only illuminates the lives of the residents who live there but also is quickly becoming a light unto the nations. The Grabski Center is the only place in the world which combines the cognitive and physical capabilities of people with MS to slow down the bodily atrophy of those plagued by the disease. 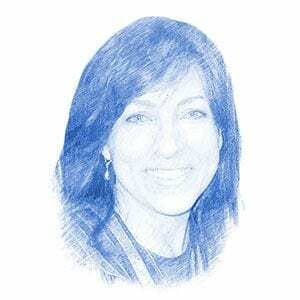 Kobi Visel, the center’s director, explained to Breaking Israel News that most assisted living centers or MS treatment clinics strive to give patients “just a good time”. At The Grabski Center, its 46 residents enjoy their time while nourishing their bodies through physical activities. MS is a terrifying degenerative disease that suddenly attacks the nervous cells, brain and spinal cord of a perfectly healthy, active adult, causing rapid, aggressive deterioration that eventually deprives its victim of any capacity to move their limbs or even to chew and swallow proper food. 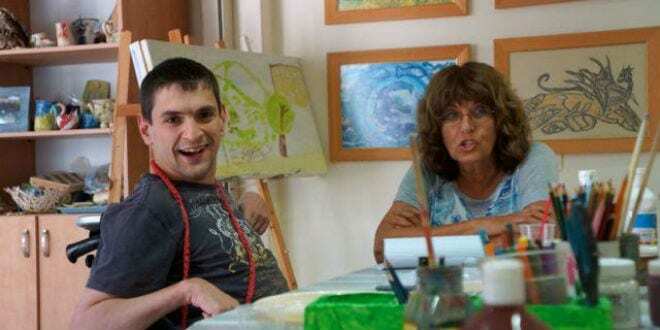 The center’s most extraordinary therapy is its music program. Residents create music through the use of laser technology and their own extremely limited body movements. 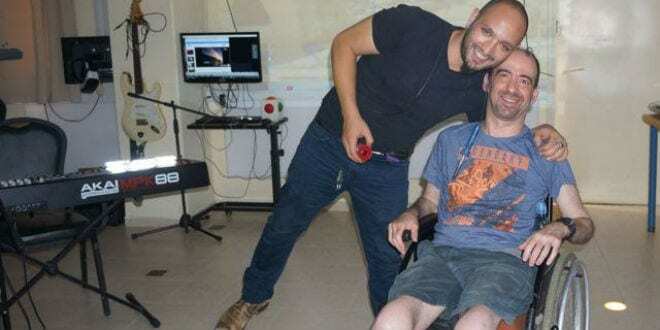 Israel’s hi-tech company Thalamus RDM, along with research from Hadassah Hospital and Technion physics and biology students developed the system. The music program’s advanced technologies allows Grabski residents even with extremely limited mobility to compose and play music. By using biofeedback and projection mapping which are very sensitive to even the slightest movement, patients “cut” laser beams with their hands or by any bodily act. This is captured by a camera which creates computer-generated tunes. The Grabski Center came into being through the generous support of Colel Chabad, Israel’s oldest charity. Nearly two decades ago, a large Orthodox Jewish family volunteered to expand their members by taking into their home people with MS. Unfortunately, the family fell into debt and could no longer properly care for everyone. Colel Chabad stepped in to help. They purchased the six-story Grabski building and helped to make it a premiere center for treating people with MS. The Grabski Center maintains a one-to-one staff-to patient ratio. Each staff member, from senior therapists to kitchen cooks, orderlies who lift the patients out of bed to the cleaners have a clear understand that working at the center is much more than a job. Rather, it is a mitzvah, a Biblical commandment. All patients are treated with respect and care. Additionally, joy is part of this dictate and the happiness radiating through the building’s hallways and rooms is palpable. Because each resident has unique capabilities or limitations, everyone receives an individualized treatment plan to improve quality of life. Residents are encouraged to move as much as possible in order to stem the progression of their disease and help stop the muscles from atrophy. Along with music therapy, they are actively involved in psychotherapy, physiotherapy, academic learning – with English and Bible study being two of their favorites- , art, ceramics, horticulture and the crafting of products for sale with revenues going directly to Grabsky residents.